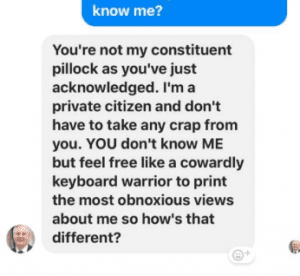 The outgoing Conservative MP for Peterborough launched a tirade at a constituent after losing his seat to a Labour candidate for the first time in 12 years. 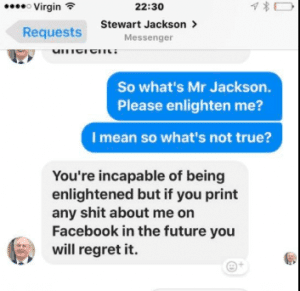 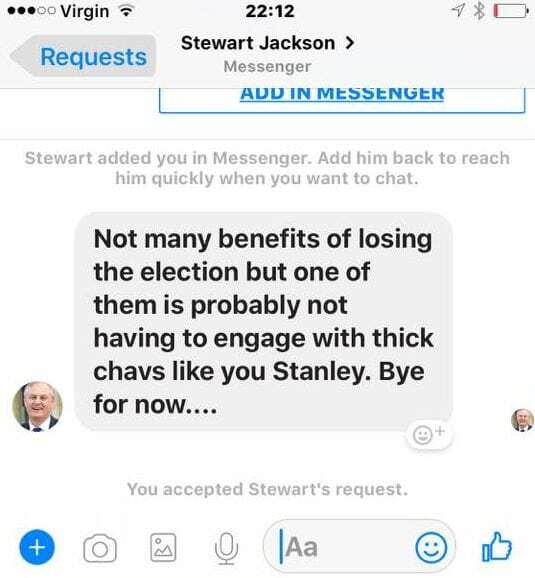 Businessman Christian Stanley who has lived in Peterborough for the past decade had criticised his MP Stewart Jackson in conversations with other constituents on Facebook but was shocked to get a barrage of abusive messages from the former MP for Peterborough late on Monday night, calling him a “pillock” and a “thick chav”. 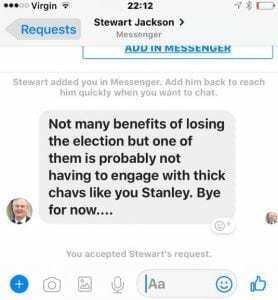 Labour voter Christian Stanley, 46, said he was totally mystified as to why the former MP had picked on him and put it down to a few conversations he had had with other Peterborough constituents on social media in the run up to the election. 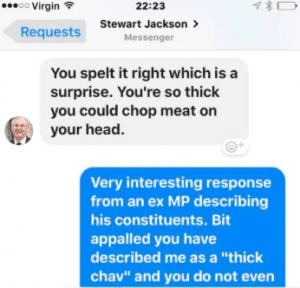 The London Economic has not heard back from the former Peterborough MP.